[New for 2013] If you follow three twins ice cream on facebook, then you probably already know that this organic, California based ice cream company has five new flavors for us this year (plus one on the way). Which one will I find at Whole Foods first? We have a winner! Looks like chocolate malt will be the first new flavor to come home with me. 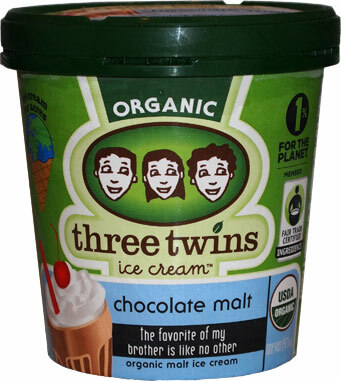 It's organic malt ice cream taglined with "the favorite of my brother is like no other". I didn't really expect to find any of these new flavors (or the ice cream sandwiches) since previously my whole foods only carried 3 of their earlier flavors, but hey, I'll take it! Whoa! That's way darker than I expected. wow, I take one bite of this new chocolate malt flavor and I am hooked. I'm not a huge malt guy, and maybe you aren't either, but have no fear. Three twins has brought in this awesome chocolate base and then they added the malt kick. You take a bite and it's like "Whoa! What was that??". Most likely this statement will be followed by "must have more". Man was this flavor meant for a pretzel cone! 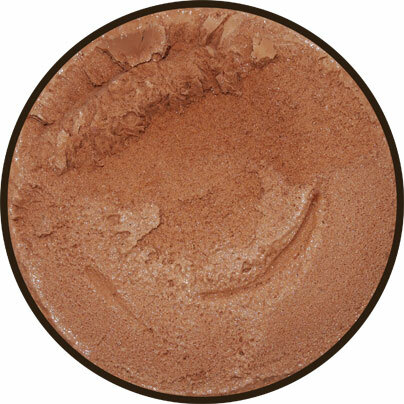 Granted I've been dying for chocolate all day, so I may be a little biased, but this one is really cool. I think the malt gives it a neat chocolate milkshake vibe and it's hitting the spot right now. Ok, I just ate half the pint, I need to save the rest for a second scoop tomorrow. On Second Scoop: Yeah, I went with the pretzel cones on the second scoop and then ate from the container on the final scoop. Man I like this one. It's just such a neat complex flavor. 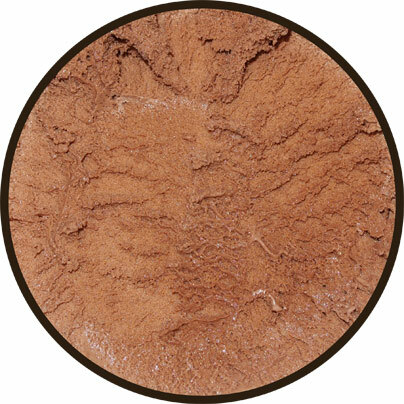 I love a good chocolate flavor and this one just fills out that profile with the malt. I didn't want to say this earlier until I was sure, but the malt gives a softer and grittier texture to the ice cream. This just amplifies that old school malty milkshake magic that is making me love this pint. The pull tab isn't new. 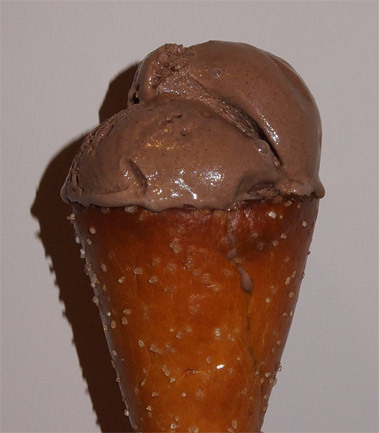 Gelati-Da uses it and Cedar Crest's old pints use to have them as well. -pull tab info corrected. I like the fact no one can touch your ice cream. -any all natural/organic store might carry three twins. I checked out the link to ice cream source's tab and their video was the ultimate! I love the new pull tab on them! 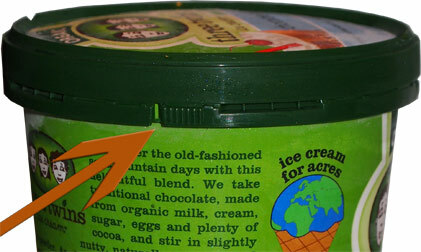 The lids would slide off too easily on the pints of the older flavor. I had the chocolate malt tonight and didn't find it that special actually. It melted too easily as well. How do you feel about malt in general? I'm not usually a big fan, but i really dug this one.